Here is Richmond Virginia's CRETINS. Vinyl Conflict has been putting out some excellent RVA stuff, and this certainly fits the bill. Just what you would expect, brutal and angry USHC. 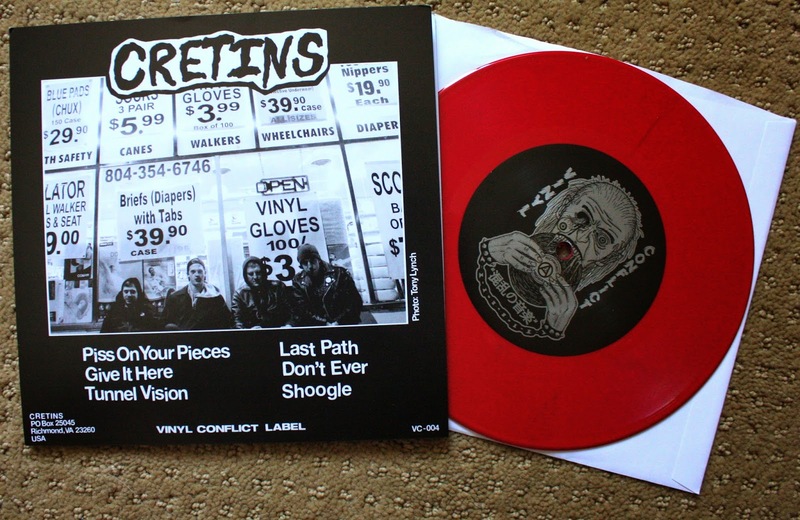 This is Vinyl Conflict's fourth release, and now I know anything they put out is a must own. This copy is on blood red vinyl out of /100. Don't sleep on it.